Welcome to North Downs Barn! ....And a delicious breakfast to start your day. Set in lovely countryside, yet close to fast links to London and the Continent. Perfect for business or leisure. 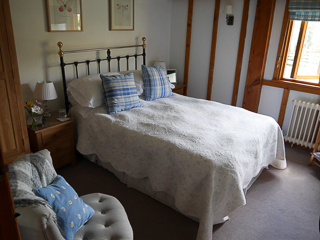 Comfortable rooms furnished to a very good standard, with en suite facilities, tea and coffee and free, fast Wifi. 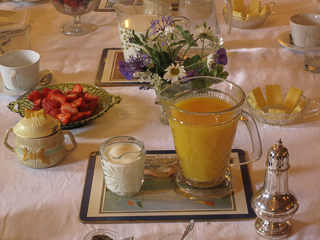 Bed and breakfast at North Downs Barn is very reasonably priced and offers outstanding value for money. 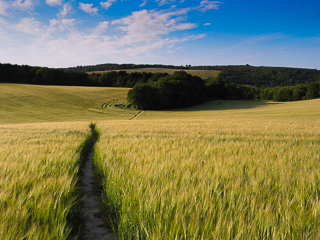 North Downs Barn is situated in the heart of the North Downs countryside, yet is only a stone’s throw from major road and rail links. It’s easy to get here!